William serves as the key financial advisor to the board of directors of JFF and the Jacobs Center for Neighborhood Innovation. He plays a major role in structuring the financing of the Jacobs Family Foundation, Market Creek Plaza, and other components of The Village at Market Creek. William’s leadership in finance and investing spans more than 40 years. 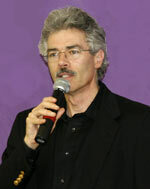 He is a managing director of venture capital firms California Technology Ventures, LLC and Jacobs Capital Group, LLC. He is the founding president and director of Cedars Bank, and has served nationally and internationally in key leadership positions in numerous financial institutions and covering all aspects of investment banking. William serves on the board of the Southern California Small Business Development Corporation and numerous civic organizations ranging from the Boys Scouts of America and American Youth Soccer Organization (AYSO) to the American Arab Educational Foundation and National U.S.-Arab Chamber of Commerce. He received the Ellis Island Medal of Honor in recognition of his business success and extensive community service. William holds an MBA from Harvard University and a bachelors of commerce from McGill University in Montreal. Kurt has worked as a member of the Market Creek Plaza Community Ownership Team since early in 2000 to coordinate the legal and financial requirements for approval of the Community-Development Initial Public Offering (CD-IPO). He now serves as a legal advisor to the board of directors for JFF and JCNI. 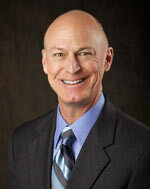 Kurt is a Partner and past Chair of Luce Forward Hamilton & Scripp’s Business Practice Group. During his more than 27 years of practice, Kurt has counseled boards of directors and management of financial institutions and public companies and their investment bankers in a wide variety of strategic transactions. He has successfully assisted companies in mergers and acquisitions, capital-raising, board of directors issues, and shareholder relations. Kurt has been named as the best banking lawyer in San Diego by Best Lawyers in America. He is a frequent speaker on strategic legal issues facing community banks and public companies. Kurt received his B.A. from the University of California at Berkeley. He received his J.D. from the Columbia University School of Law in New York City. He also holds an LLM in Taxation from the University of San Diego School of Law. John Landis is a software developer for the credit union industry. He designed and developed the Galaxy credit union data processing system from 1979 to 1983 as an employee of Citicorp Information Resources, Inc. In 1984 he became co-founder and co-owner of Symitar Systems Inc. and was the principal software architect of its credit union data processing system, which is the market leading data processing solution for all credit unions over $25 million in assets. He also served as Symitar’s Chairman and as its Chief Financial Officer. In 2000 he sold Symitar Systems Inc. to Jack Henry and Associates, a data processing solution provider for the banking industry. 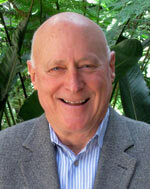 From 1997 to 2003 John served on the Board of Trustees for Francis Parker School, a leading independent K-12 school in San Diego. He served as Chairman of the Finance Committee, Co-Chairman of the Strategic Planning Committee, and founding Chairman of the Technology Committee. In 2005 he was awarded the school’s Henry F. Lippett award, its highest award for volunteer service to the school. John graduated with a B.S. in Physics from Stanford University in 1977. He is married and has three children and one grandchild. Jerry is a partner at Paddock Scheck Morse, Inc. and provides expert financial advice to JFF and JCNI. He has been serving individual and business clients in public accounting for more than thirty years. Currently, Jerry practices in the areas of individual, business, and nonprofit tax planning and accounting services. He serves professional corporations and partnerships that specialize in areas such as law, engineering, architecture, and business consulting. Jerry works closely with several nonprofit organizations and private foundations assisting them with their specialized accounting and tax compliance needs. He is a member of the American Institute of Certified Public Accountants, the California Society of Certified Public Accountants and the Estate Planning Committee of the California Society of Certified Public Accountants. Jerry and his family live in Newport Beach. He currently serves on the boards of Crystal Cove Alliance, the non-profit Cooperating Association partner with Crystal Cove State Park, and Crystal Cove Management Company. Christopher Weil has more than 40 years of experience in the investment banking industry. He is the Chairman of Christopher Weil and Company, Inc., a registered investment advisor and securities broker dealer specializing in portfolio management and financial advisory services. 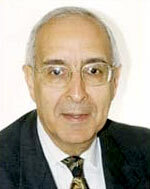 He is also Chairman of two companies that sponsor and manage private equity funds – Storage Managers, Inc. and CWC Asset Advisors, Inc.
Mr. Weil is also a founder and board member of Landmark National Bank and a member of the Founders Circle for the Preuss School at the University of California, San Diego. He and his family formed the Patricia and Christopher Weil Family Foundation, in which Mr. Weil sits as Chairman. He also chairs Mainly Mozart for San Diego and Northern Mexico.